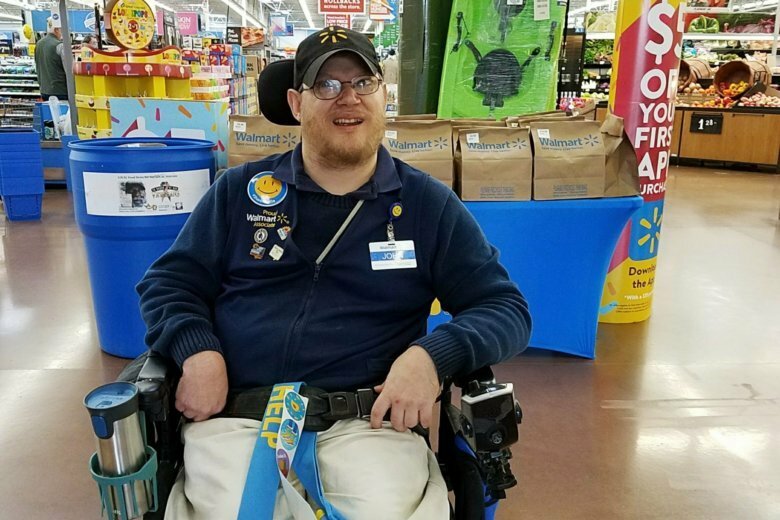 Walmart endured more than a week’s worth of bad publicity before announcing publicly that it was making “every effort” to find a role for disabled workers who had been threatened with job loss as the retailer gets rid of greeters at 1,000 stores. Amid a fierce backlash, Greg Foran, president and CEO of Walmart’s U.S. stores, said in a memo to store managers Thursday night that “we are taking some specific steps to support” greeters with disabilities. The chain noted that several greeters were offered new jobs at their respective stores and accepted. “By rethinking their action, Walmart is now opening the door to actually help individuals realize their full employment potential,” said Cheryl Bates-Harris, senior disability advocacy specialist at the National Disability Rights Network. Walmart told greeters around the country last week that their positions were being eliminated in late April in favor of an expanded “customer host” role that involves not only welcoming customers, but also helping with returns, checking receipts to help prevent shoplifting and keeping the front of the store clean. The position requires hosts to be able to lift heavy weights, climb ladders and do other tasks. “This was a major-league botch,” said Craig Johnson, president of Customer Growth Partners, a retail consultancy, adding that Walmart should have foreseen the public’s reaction. For its part, Walmart said Foran’s memo did not signal a change in direction for the company but was meant to reinforce what it was already doing for workers displaced from the greeter job and clear up misinformation. Foran acknowledged the change from greeter to host, and its impact on disabled workers, had “created some conversation.” He wrote that Walmart was committed to doing right by these employees, noting that greeters with disabilities would be given longer than the customary 60 days to find other jobs in the company. “Let me be clear: If any associate in this unique situation wants to continue working at Walmart, we should make every effort to make that happen,” said his memo, which Walmart released publicly. Catlin’s mother, Holly Catlin, helped call public attention to her son’s plight with an impassioned Facebook post and has since advocated for greeters around the country. After emailing Walmart CEO Doug McMillon every day, Catlin got a call from the corporate office on Thursday, and on Friday morning she and her son met with store management in Selinsgrove. In North Carolina, Melton is “happier than a pig in a mud puddle,” said his father, Jim Melton.